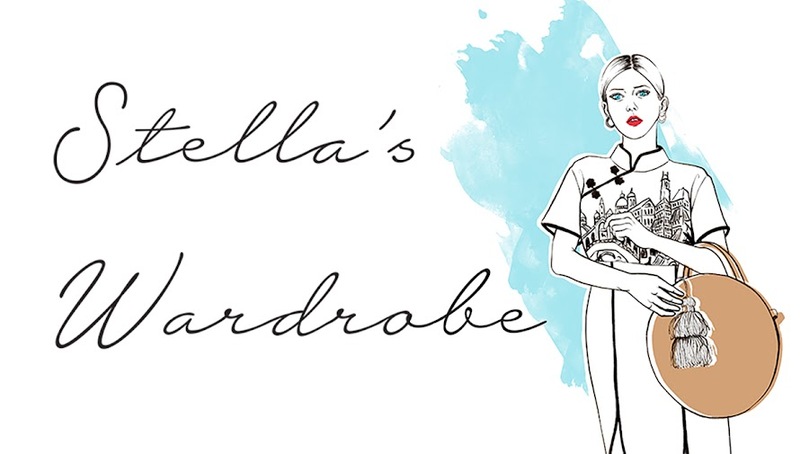 Stella's Wardrobe: The Day I Finally Learnt How To Do My Make Up Like A Pro. The Day I Finally Learnt How To Do My Make Up Like A Pro. One makes many mistakes growing up and undoubtedly a lot of mine involved some seriously bad style and make up decisions. Of course you could argue that these were all necessary on the path to finding my own identity and helped me evolve to my current look but although my dress sense found it’s groove over the years even until recently I really struggled to get my make up “right”. In fact I had never really learnt how to put on a proper face of make up (my mum was of the persuasion of once in a while putting on some mascara and sometimes some ill advised bright lipstick in contrast to her fair Scandinavian complexion), nor am I of the generation that really got into YouTube and its seemingly endless streams of beauty tutorials. This ultimately meant that until a few weeks ago I may have used make up every day, and probably too much of it at that, but didn’t really know what I was doing and if what I was doing was even the right thing to make the most of my face. I wanted to change that as part of my New Year's resolutions for 2018 and eventually stumbled across Bobbi Browns How To lessons, quick and free one to one tutorials at one of their beautiful shops around the country in which one of their expert make up artists takes you through all the make up basics in a half an hour session. There is no obligation to buy anything although I used the opportunity of having a real expert on hand to invest in some real essentials, which as it turns out I had been seriously missing in my life. I picked up so many little tips and tricks and also realised that I was putting the wrong focus on the wrong areas in my face, learning some real basics that I shamefully just hadn’t been aware of before (blusher - no idea what it did or what I was missing out on by not having one). I have super dry skin so for me this base is absolutely key so that the make up applied doesn’t just look caked on but actually soaks in and covers properly. I love the fresh scent and none oily consistency of this and have made it a ritual to put it on first thing in the morning. Highly recommended. I love this skin foundation stick by Bobbi Brown as it feels a lot less heavy than your conventional cream foundation and it has a good even finish all day long. The older I get the more I also value a decent concealer as I am prone to dark circles under my eyes (I am a notoriously bad sleeper), with this one blending in wonderfully with the foundation. Before my little make up tutorial I was using B.B. cream and foundation but had no idea that one needed to add a bit of shape and colour to ones face with a stroke of blusher to stop looking rather one dimensional and monotone coloured. It may only be a small extra step to add to your make up routine but for me it has made a huge difference! Mascara is of course quite basic and I have been using it for years but make sure you find one to suit your eyelashes. I for one have really long eyelashes so need a brush shape that separates and curls them rather than lengthens them. What I learnt in terms of using eyeshadows really was a game changer. I had always heavily relied on applying a black eyeliner to highlight my eyes, going through some questionably phases of literally having a Nike sized tick on my eyelid. During my make up lesson however I learnt that I could make my eyes stand out in a much more natural, subtle yet equally effective way. It’s all about finding earthy shades that suit you and applying them to frame the eye. I’m still learning the blending and am experimenting with different shades but the Naked Palette by Urban Decay that had been lying around my room forever (hence why its slightly dishevelled appearance) has proved the perfect starting kit to make me an (eventual) expert in the field of eyeshadows. I haven’t picked up my eyeliner since and can’t say that I miss it yet! The article you shared is very good for me and good for all women. Thank you very much.